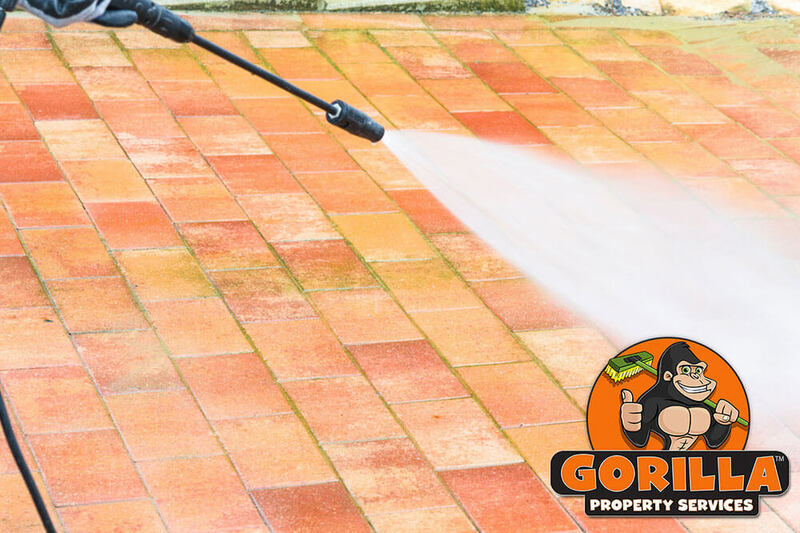 Yorkdale Pressure Washing | Gorilla Property Services | Call Us Now! The exterior of your property can say a lot about what is going on inside. A presentable structure or yard lets others know that you take pride in your home or workplace. Maintaining a yard might be as easy as raking up and trimming the grass but cleaning external walls and surfaces is tough. There is no one-size-fits-all treatment option for every discolouration around your space, but all it takes is one Gorilla. Our property maintenance specialists are highly trained to tackle any stain on your property with our Yorkdale pressure washing service. Why Should You Pressure Wash? If a well-rounded house wash was easy, everyone would do it. Exterior cleaning requires more than a quick spray and wipe down. Staining in the Yorkdale area comes from many different avenues. Graffiti is a major contender for top household stains but wear, tear and organic growth are not far behind. Superficial staining negatively impacts the curb appeal of your property but by letting growths slip by, you are taking a chance with the quality of your construction materials. Organics, such as algae, retain moisture and can wear down surface layers of wood, and even damage concrete over time. Patio cleaning, for example, should be done regularly to ditch items such as bird droppings. In addition to being ugly, pigeon droppings are acidic and can cause major damage if left over time. Luckily for property owners in the Yorkdale area, our Gorillas are available for locally-driven, prompt service. Instead of settling for a messy looking outdoor space, have a Gorilla put years of technical experience and training to use! Taking on chores like siding cleaning, or interlock cleaning, can be complicated without the right knowledge. In order to get the right results for properties in the Yorkdale area, our Gorillas work in stages. Addressing the stain at the lowest level is impossible without clearing off the surface first. By applying cleaning treatments, brushing and pressure washing, our Gorillas get expert results for your Yorkdale pressure washing.